With the support of our experts, we are bringing forth an exquisite collection of Men Fancy Belt that adds smart touch to the personality of wearer. This Men Fancy Belt is appropriate to be used by women to be worn with jeans and trousers. Our fancy belt is provided in different styles and designs to meet the exact demands of our valuable clients. 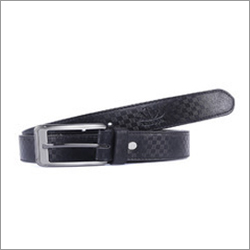 Customers can avail this fancy belt from us at market leading price within a given time frame.